Buy Suma Organic Raw Cane Sugar - 500g in the UK from our online shop or directly from our independent Scottish store. Use raw cane sugar for sprinkling over fresh fruit and cereals and for everything else where sweetness is required. Raw cane sugar can be used for everything you need sugar for. Like tea and coffee, baking, cereals, yogurts etc etc. Plums are in season in September and this pudding is a great way of using them (other than eating!). Have this pudding for dessert on its own with a cup of tea. This recipe contains 150g sugar. Who doesn't like a good crumble?! Rhubarb should be in season now, but you can sometimes buy forced rhubarb as early as February/March. Rhubarb is high in oxalic acid, so should be avoided by people suffering from kidney stones. This recipe contains 4tbsp sugar (or to taste). Dairy free, egg free, lactose free and it still tastes of chocolate! This cake is a winner amongst friends and family. Serve with dairy free cream or just on its own. This recipe contains 225g granulated sugar. Typically served at celebratory meals in the Southern states of America, this pie links the classic combination of pumpkin, pecan nuts and aromatic warm spices in a pastry case. Serve warm as a dessert or chilled with a cup of coffee. This recipe contains 25g caster sugar. Did you know you can use tea as a flavouring in all sorts of cooking? These vegetarian jellies are simple to make and you can use all sorts of fruit, whatever is in season! This recipe contains 225g sugar. Who knew you can have your 'greens' and have cake at the same time?! This moist cake is a great way to avoid dairy and eggs or to surprise friends and family with. This recipe contains 365g sugar. This chutney goes well with Indian foods, like curries, dahl or cheese. I made this chutney last year and it tastes great, even if I say so myself! What’s even better is that it’s a great way of using up any green tomatoes! This recipe contains 300g sugar. Typically served at celebratory meals in the Southern states of America, this pie links the classic combination of pumpkin, pecan nuts and aromatic warm spices in a pastry case. Serve warm as a dessert or chilled with a cup of coffee. This recipe contains 75g caster sugar. A delicious, spicy pickle of carrot and radishes, which are in season now and the coming months. This recipe contains 1 tbsp sugar. Another tasty way of eating sauerkraut. Sauerkraut is lacto-fermented so shouldn't contain vinegar! Our sauerkraut is raw and real! This recipe contains 1 tsp sugar. This recipe contains 1 tsp sugar. This tomato soup recipe is gluten free, vegetarian and vegan. This recipe contains 1 tsp sugar. Cooking gluten free doesn't need to be more difficult as this gluten free recipe for apple pie shows. This recipe contains 100g cane sugar. I made this vegan and gluten free cake for the shop's 30th Anniversary in 2018. This recipe contains 225 g sugar. You can use most vegetables to make piccalilli, I've used courgettes, onions, green beans. And you can vary the quantities too. This recipe contains 225g sugar. A delightful Free From Christmas Cake! To make this recipe alcohol free, simply replace the sherry with fruit juice. Make this recipe vegan by using the alternative to egg and butter! This recipe contains 300g granulated sugar. What a different dessert you will be serving with this green pannacotta! Or you can serve this dessert with Halloween! This recipe contains 75g sugar. This recipe contains Half cup sugar. As official Suma stockist, we sell genuine Sugar & Sweeteners directly from our shop in Scotland and online throughout the UK. Where can you buy real Organic Raw Cane Sugar safely online? If you are wondering where you can buy Suma Organic Raw Cane Sugar - 500g safely online in the UK, then shop with us. We are an actual health foods shop; with real people selling real foods and products. Our award-winning independent shop is located in Stirling, Scotland since 1976. You can buy our Beans, pulses, grains, flours, seeds and dried fruit and other genuine Sugar & Sweeteners in store or safely place an order with us online or over the phone. 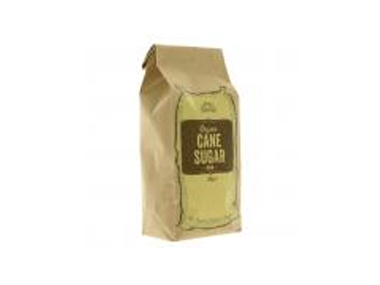 Organic Raw Cane Sugar - Suma Organic Raw Cane Sugar - 500g in Sugar & Sweeteners and Foods.